Idris Elba is many things. He’s faced off against criminals, demi-gods, and the elements. But if there is one thing we haven’t seen him as, it’s a babysitter. And Netflix is going to give its subscribers the chance to see a gentler side of the actor. 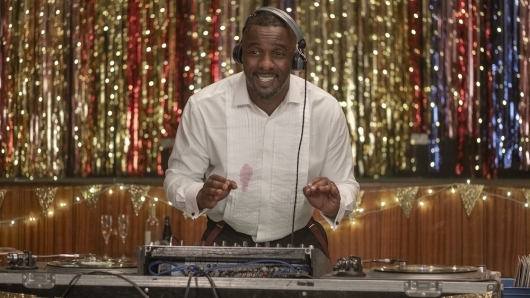 A trailer has been released for Turn Up Charlie, which will see Elba bring an edge to the family friendly series. In it he plays a washed-up DJ who doesn’t have his life in order, but will get a chance to straighten things out when an old friend offers him an opportunity. But it’s not the one he thinks will raise his stock as a DJ. No, he will have to babysit her daughter. And the reluctant DJ takes her up on the offer only to find out that it could be a life-changing experience. Check out the trailer below. It’s always nice to see an actor of Elba’s caliber switch things up. As aforementioned, we’ve seen the actor plenty of times in dark and gritty roles. He does have a humorous side to him, though. And it’s a side that we simply do not get to see enough of. So for us to get to see a lighter side of him is great. Not only that, it will be multiple times as Turn Up Charlie is a TV series. Elba will be joined by Piper Perabo, who plays the mother who hires Charlie to babysit her daughter. Of course, the two don’t hit it off immediately, but they develop a special bond. And we probably can guess where this is all going considering he will probably be forced to choose between stardom and friendship. Hopefully, it’s not that predictable. Turn Up Charlie follows a down-and-out DJ who plots to rebuild his music career whilst working as a nanny for his famous best friend’s wild 11 year old daughter in this Netflix Original Comedy Series. Turn Up Charlie also stars JJ Feild and Frankie Hervey. All episodes of Turn Up Charlie will be available on Netflix on March 15, 2019.